Cornwall, ON – David Coleman, 55 of Monkland was arrested on October 15th, 2014 and charged with care and control of a motor vehicle and over 80. It is alleged that on October 15th, 2014 while in the area of Brookdale Avenue and Eleventh Street the man was found to be in care and control of a motor vehicle while under the influence of alcohol. He was taken into custody, charged accordingly and released to appear in court on October 28th, 2014. 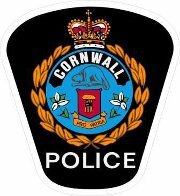 It is alleged that on October 15th, 2014 members of the Cornwall Street Crime Unit executed a drug warrant at a Third Street West residence and located a quantity of drugs and cash. Pawis was taken into custody, charged accordingly and held for a bail hearing. Cornwall, ON – Michael Dillabough, 24 of Cornwall was arrested on October 15th, 2014 on the strength of a probation office warrant. On October 15th, 2014 the man was located at a Sydney Street address and taken into custody on the strength of the warrant. He was transported to police headquarters and held for a bail hearing. (Ottawa)—An Ottawa Police officer has been charged with one count of Criminal Harassment. The charge was laid by Ottawa Police on October 10, 2014. The investigation continues. As this relates to a domestic matter, the identity of the 42 year old officer will not be released in order to protect the victim’s privacy. The officer has been suspended. The Ottawa Police Service Professional Standards Section is also investigating this matter and charges may be laid under the Police Services Act. The Ottawa Police will not disclose any further information as the matter is now before the court. (Ottawa) – The Ottawa Police Service Sexual Assault and Child Abuse Unit is investigating several reports of suspicious activity in the Katimavik and Chimo Drive area of Kanata. The incidents occurred on September 4, October 3, October 9 and October 14, 2014, in the daytime hours. In all four cases, it is believed the same male suspect exposed himself to young female victims. The victims ran off and the incidents were later reported to police. The suspect is described as a Caucasian male, in his 30s, 5’8” (173 cm) balding with dark hair and a beard. Anyone with information can contact the Ottawa Police Sexual Assault and Child Abuse Unit at 613-236-1222, ext. 5944. Anonymous tips can be submitted by calling Crime Stoppers at 613-233-8477 (TIPS), toll free at 1-800-222-8477 or downloading the Ottawa Police iOS app. (South Stormont) – On October 14, 2014 SD&G OPP responded to a report of a break-in which occurred at a business property on Cornwall Centre Road, South Stormont Township. Investigation indicated that overnight (13-14Oct14); the building was forcibly entered via the rooftop by suspect(s). Inside, a metal safe, cash and a wheelbarrow were stolen. (South Stormont) – On October 15, 2014 at approximately 7:30pm, SD&G OPP responded to a report of a break-in which occurred during the day at a residence on Moulinette Road in the Village of Long Sault, South Stormont Township. Investigation indicated that the home was forcibly entered via the garage by suspect(s). 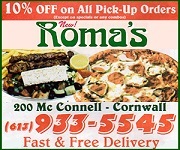 Inside, two (2) Ipads, a Garmin GPS and cash were stolen.